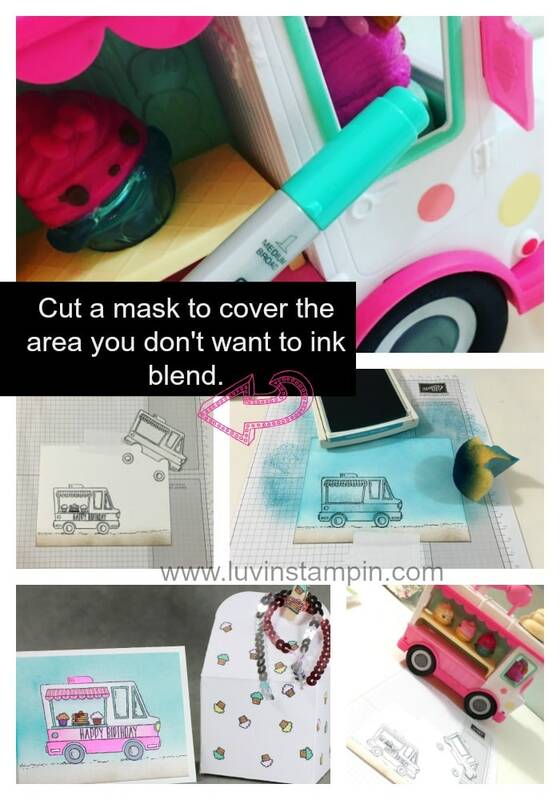 Welcome to the One Stamp at a Time blog hop. I am thrilled you’ve joined us. If you are here, you’ve either just hopped from Jessie Holton or you started here. Either way, get ready to hop. The list of blogs are at the bottom of the blog post, just before the supply list of products. This month we had NO RULES for the hop. 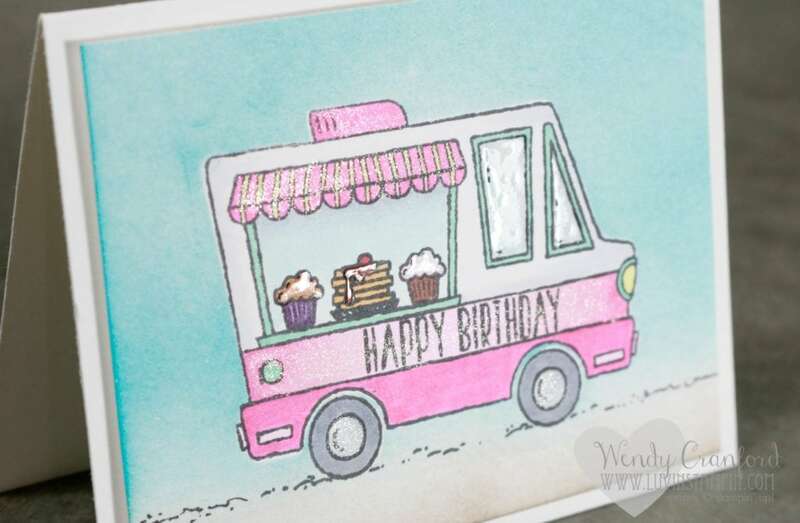 I have been itching to use the Tasty Truck stamp set. I love it. The funny thing is my daughter got a Num-Num truck for Christmas (some thing that she can make lip gloss with). It looks just like our tasty truck stamp. See for yourself. Ok here is the card and box I created. I made them for my sisters upcoming birthday. I had so much fun coloring these projects. 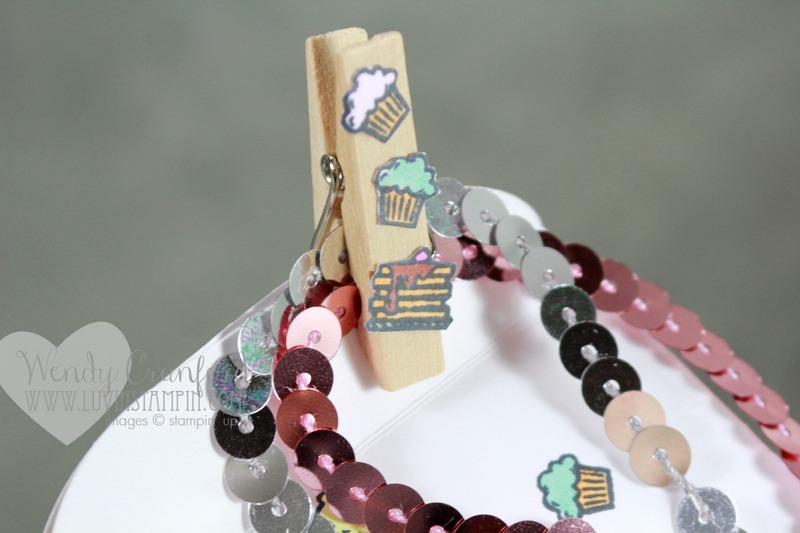 I made colored and cut out the little cupcake and stack of pancakes to put on the clothespin for some added detail. I hope you enjoyed stopping by my blog for some bright and cheerful birthday happiness. I can’t wait to give these to my sister. She is going to love them. Leave me a comment and tell me what you think I should put in the box! I need ideas! Your next stop is Rick Adkins. You can click the next button below. The full list of hoppers can be found under the next button. All the supplies for this project are listed below the list of hoppers. Supplies can be purchased by clicking on any of the images you see below. Don’t forget to use the host code if your order is under $150. 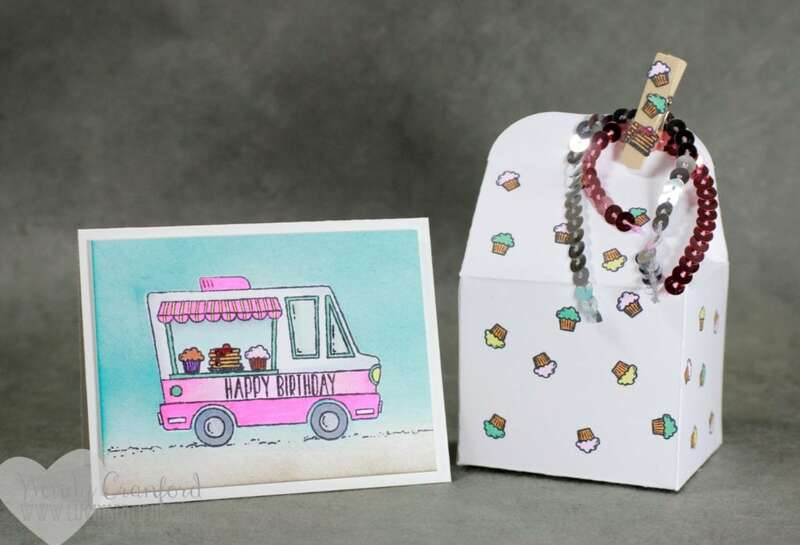 You will receive free card kits from me for your order, in addition to free Sale A Bration items for every $50 you spend. Cute projects Wendy! Great job with the ink blending. 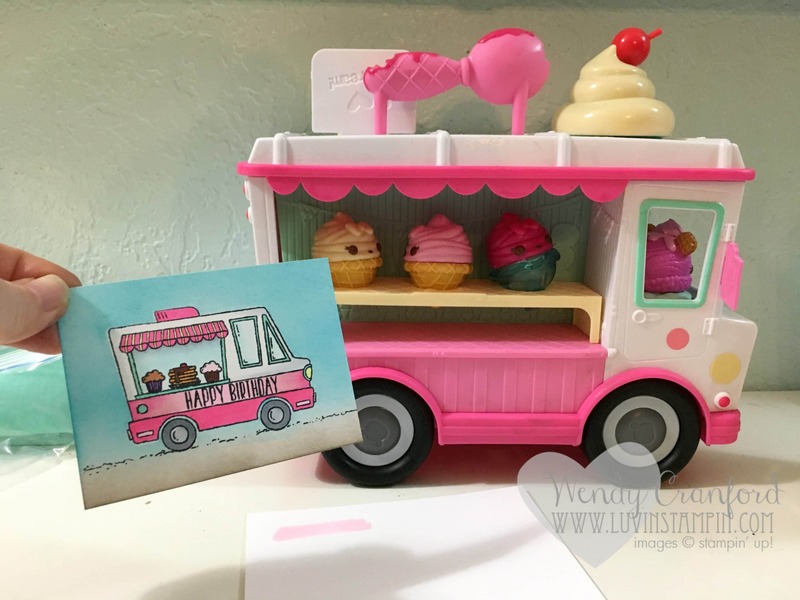 So cute…I love this…including the tiny cupcakes on the Baker’s Box! My set is on it’s way…can’t wait to CASE this! So pretty! I just love both your card and baker’s box. Great job with the sponged background! Such cute projects. I just love them. I got this set and haven’t used it yet. Thanks for the inspiration. You can always put jewelry or even gift card with some yummy treat or mini cupcake . This is absolutely darling. I always look forward to your creations. Thank you so much Wendy for sharing your wonderful ideas with us!!! LOVE this card! I watched the entire Blog Hop but I couldn’t figure out how to leave a comment for each one. They were all inspiring, not a bad one in the whole bunch. I can’t wait for my order to come. I have to learn more about the computer. I don’t know how to post my cards but my Grandson has offered to help me. Thank you all for making me feel welcome. What to leave in your cute box, you need to think what your sister enjoys. Maybe a gift card to a book store, a pretty bracelet, whatever is her “love gift”. Thank you for sharing your creations. The coloring your did for both the card & project is gorgeous! That little truck is a-dor-a-ble. Thanks for sharing!